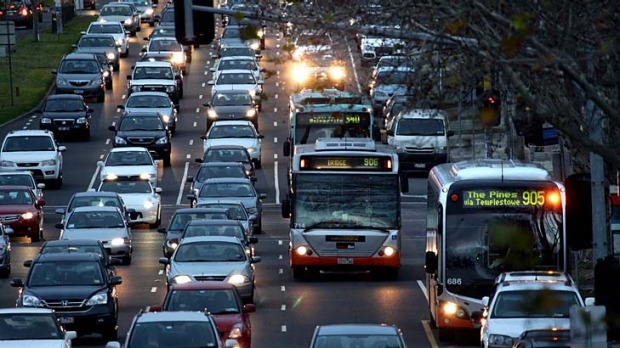 The Andrews government is currently reheating the idea of trying to do something about Hoddle Street-Punt Road. Do you have a bright idea or several? Light rail? Less car dependency? A North South Link? What about free public transport for MCG ticket holders to give Yarra Park a break? This study arrives with some concerns. Firstly, the consultation appears to be coming after the government has already decided to introduce altered traffic flow for right turns. While it is good the government has fronted up with concrete proposals, it invites the concern it is a fait acompli? Also, the government has ruled out any longer term projects that the 2009 study was considering – such as a bus tunnel. This limits solutions to those that fit in with the electoral cycle. This means local residents (note the 2000 new apartments within 500m of Hoddles St), as well as cyclists, pedestrians, public transport users and even cocooned motorists will continue to breath the toxic sludge of Hoddle Street for decades. Those of us with longer memories will recall the Hoddle Street Study and the Hoddle Street Study Stakeholder Advisory Group (HSSSAG). This is a disturbing trend in an age of electronic publishing and distribution, where tax payer funded reports are removed from circulation because they don’t contain the right message. We urgently need legislation to ensure that government reports remain pubished in their original location – even after the government department changes its name. VicRoads: Hoddle Street-Punt Road corridor online consultation – open until 21 September 2015. GHD_Hoodle_Street_Traffic Advice. This is a report from the engineering firm responsible for the East West Link flyover designs. Most of the proposals in this report were not endorsed by the study.